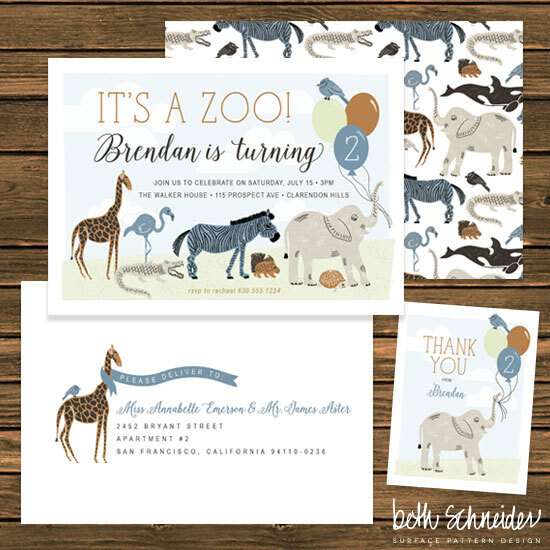 Beth has a new collection called Wild Animals that is now available! 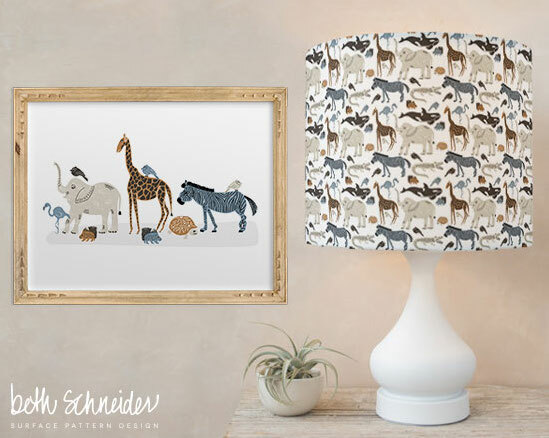 She started hand drawing various kinds of animals and it turned in to a sophisticated, neutral design perfect for any little boy or girl! 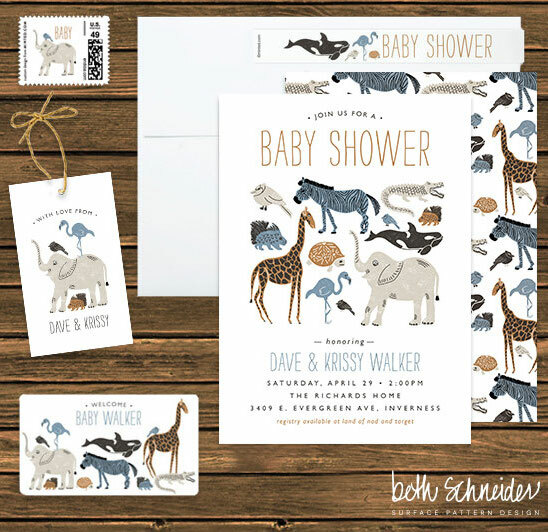 The pattern is being produced on a myriad of products including fabric, wall art, curtains, pillows, napkins, placemats, lampshades, hanging chandeliers, table runners, baby shower and birthday party invitations, envelopes, stamps, thank you notes, stickers, party favor tags and more! Holy cow! The full collection is now available for purchase here. If you create something with Beth's fabric, we'd LOVE to see it! Let us know by dropping us an email or tagging us on Instagram!